On October 2nd, 2014, Google launched its fifth annual Manchester Event, providing guests with insights into technology, optimization and how to best combine them - specifically within the mobile field. While the revelation of new Google products (such as a self-driving car and glasses infused with 3D mapping) dominated the event, Webstager was most intrigued by the promise of mobile marketing. According to Eileen Naughton, VP and Managing Director of Google UK, “by 2020 every person in the world will be connected in some way by smartphones”. This is compared to the already impressive 2.7 billion people currently relying on iPhones, Droids and more. 4 out of 5 consumers use their phones to shop. 70% of mobile searches convert to real-world results (such as purchasing or reviewing). 25% of consumers claim to only use their phones for Internet access and shopping. 91% of consumers admit that their phones are always within an arm’s reach. These numbers reveal a growing dependence on smartphones - which makes Google’s prediction for the future seem all the more plausible. The mobile SEO market is destined to expand. Webstager is ready for it. Are you? How Do Test Pages Affect SEO Rankings? Your site is a perpetual work in progress: a collection of new content and applications, layouts and image scales. Every day sparks another inspiration. Unfortunately, you sometimes forget to delete those inspirations - and the result may be an unintentional indexing and a series of stiff penalties. Test pages are not immune to indexing. Web-crawlers see no difference between content that’s still being tweaked and content that has instead been perfected. They will instead scan - and rank - both options, leading to potential SEO problems. Test pages resemble duplicate content and duplicate content is, of course, often penalized. It suggests black-hat techniques (using the same links and information to spam the system and gain higher SERPs). Engines will respond immediately to this issue, flagging the domain and lowering its ranking. This causes an instant decline in traffic and consumer trust. And you’ll find it difficult to gain either back. It’s essential, therefore, to delete any unnecessary test pages from your site. Avoid duplicate URLs and remove identical content. Keep your system as streamlined as possible to ensure easy indexing. This will help your site remain optimized and penalty-free. Contact Webstager to learn more. An unfortunate SEO trend has developed. Companies are now creating original content... and then launching it across the Internet. Optimized phrases are posted in blogs and affiliate forums. Product descriptions are plastered across FAQ pages and network hubs. Every word is published again and again. It’s an epidemic of repetition. Creating a reader-worthy page is essential. Using that page multiple times, however, is not. Search engines now penalize users for duplicated content, accusing them of trying to manipulate SERPs by filling the index with key-phrases and backlinks. The overall quality of the site is questioned (with web crawlers analyzing every word for potential black-hat practices) and this undoes even the best SEO strategies. It’s imperative, therefore, to create singular content. Don’t continually use the same information, linking it to several sources (such as media profiles, blogs or directories). Make each page instead unique to ensure strong results. Contact Webstager to learn more about the dangers of duplicate content. Has The Closing Of The Yahoo Directory Impacted SEO? Before Google arrived in a blaze of algorithms and social smoke there was the Yahoo Directory. This system served as a gateway to the Internet, cobbled together with user-compiled content and niche categories, stitched with endless links and affiliations. It was revolutionary. It was dynamic. In December 2014 the once venerable Yahoo Directory closed, leaving some to wonder if this would impact their SEO strategies. Would losing this index harm the optimization process? While the Yahoo Directory was a nostalgic choice for users and SEO companies alike, it offered little value in the creation of responsive brands. Its non-crawling format made it difficult to gain traction, and the need to pay for prime directory spots wreaked havoc on business budgets (as well as undermined organic tactics). The Yahoo Directory was never a cornerstone of SEO. Its closing - while unfortunate - had no lasting impact, therefore, on sites or SERPS. Webstager now looks to the future of engines (such as Google and Bing) to better define optimization and achieve higher sales. To learn more about our services contact us today. Too often do small businesses think themselves ill-prepared for SEO, unable to devote the time (or the budget) that larger companies can. Their marketing plans are less grand in scale, and they assume they can never measure up to their competitors. The value of SEO, however, is that a little bit of planning can go a very long way - especially when that planning includes grassroots campaigns. Small businesses can now optimize their sites for success. How? They can rely on grassroots SEO. These organic methods - which include social media marketing, local business indexing, real-time blogging, meta tagging and keyword analytics - can have significant impacts. They directly affect SERPs, optimizing content so that it appeals to spiders and readers alike; and they strengthen the viability of each page, with engines more willing to index information (rather than cite it for black-hat tactics). They legitimize companies online. And, of course, grassroots SEO demands far less than paid advertisements or affiliations. The budget won’t break with these natural placement techniques. They're as effective as they are cost efficient - and this is imperative for those with only a few dollars to spare. Learn more about grassroots SEO by contacting Webstager. We’ll be happy to explain the process and create a campaign that works for your small business. A series of kingdoms shapes the online world. Powerful networks - led by Google, Facebook, Twitter and other titans - carve out large chunks of territory, leaving companies scrambling to stake their brand banners on the few acres that remain. What these companies discover, however, is that this is no easy task - and their efforts are often as futile as they are frustrating. Webstager understands the difficulty in achieving top SERPs (we’ve worked hard to propel our clients through the engine maze, utilizing exceptional content creation and automated strategies for consistent results). Throughout our journey, however, we’ve realized a simple truth: niche networks often prove more accessible. Niche networks are small social hubs dedicated to a specific service or product. They streamline the search process, offering limited - but relevant - information; and this is essential when creating an optimization strategy. Don’t ignore these networks. Embrace them. Take advantage of localized searches and targeted keywords to reach readers. Instead of battling countless other companies in major engines, build a domain within a less used (but more viable) index or directory. This will ensure success. Webstager would never discount the importance of Google, Bing and other favorites. Niche networking is not to be forgotten, however, and we will find our clients the alternative engines they need. How Will Google’s Quick Answer Boxes Impact SEO? Google prides itself on innovation. It’s forever trying to streamline the search process... and it often succeeds, propelling sites forward with precise algorithms and white-hat rewards. Recent developments with its Direct Answer program, however, has caused many Vancouver SEO companies to worry. The Direct Answer program allows users to enter specific queries and receive fast replies. Data is presented in a small box, with up to 200 characters detailing weather forecasts, definitions, calculations and other general knowledge entries. This is intended to expedite searches, allowing users to more efficiently find information. Many fear, however, that this could negatively impact SEO - limiting content quality and reducing the need for sites. Webstager wishes to allay those fears: Direct Answer will not be the end of SEO. This program will only provide basic (concentrated) data. It will not explore topics or provide in-depth explanations. Optimized information is still needed and indexed sites will not suffer. This is merely a tool to help readers answer simple questions - and to entice them to continue their research. Overall content and SERPs will not be affected. SEO is not losing its value. Instead it will pair with Direct Answer to provide consumer-friendly results. To learn more about the Direct Answer program contact us today. Innovative products, unique services, local branding: Vancouver businesses blend these components together to achieve online success. Without a proper grounding in customer-oriented SEO, however, that success will be short-lived. 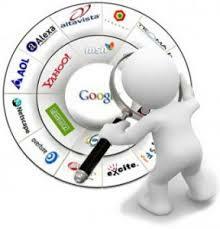 SEO is the process of increasing a site’s visibility. Webstager understands, however, that this process must be tempered to consumers, adapting all content and social media marketing to their needs. How is this accomplished? Study customer data. First take note of real-time traffic patterns. Understand when customers are visiting each page, which information attracts the most attention and which search methods provide the greatest results (engines, media networks shares, video channels, etc.). Analyze how content performs within key demographics. Study the sales of each month. See which products or services most appeal and create strategies that highlight these. Launch content campaigns, branding banners, responsive web pages and more. Start a dialogue with consumers. Create contact forms, respond to social media posts and send out mass emails. Gain information from these conversations, learning what issues most affect users and their buying habits. By implementing these elements companies can better understand their key demographics - and adapt their SEO strategies accordingly. Customer satisfaction is the cornerstone of success. Contact Webstager to learn more. How Do Search Rankings Affect Organic Page Clicks? Every page can be indexed. Not every page, however, can be organically popular. Search engines carefully study every site, rewarding quality content and punishing black-hat techniques (such as hidden text, back-gated pages, keyword stuffing or link farming). Algorithms assess every score and adjust page ranks accordingly, propelling a lucky few to the top spots. Because organic traffic is directly influenced by a site’s SERP. According to a recent study by Marketing Land, 71.33% of users rely on sites with first page positions for their searches. Comparatively, only 5.59% of users visit sites found on the second and third pages. Organic traffic drops dramatically after the elusive Top Ten (and sales, of course, drop as well). This is a startling difference - and one that proves the importance of high page rankings. Without organic traffic sites will fail: unable to generate the necessary brand recognition, consumer reviews and profit margins. Not even exceptional products will spare them from low-volume clicks. Webstager can keep this from happening, launching our customers to front of both major and niche engines. Our automated platform helps to ensure faster indexing, while our content strategies (including real-time event coverage, cross-channel marketing and responsive design) promises white-hat success. We deliver organic results. And there’s nothing more crucial than that. SEO is an oft-used phrase but a rarely understood idea. Readers assume that it’s just a collection of keywords and meta tags, with a few clever links tucked between. It’s instead a complex process that requires time, patience and deliberate audience targeting. Every consumer is different: defined by age, financial background, geography and more. Companies must try to reconcile these differences with their targeting strategies. Decide who will most likely buy a product, how much they’ll be willing to spend and how to best attract them. Examine demographics to launch an effective SEO campaign. The online world is vast, with its borders stretched across computers, tablets and smartphones. Target audiences on all three, creating SEO campaigns that offer responsive designs and adaptable language. This ensures greater accessibility and greater engine recognition. Optimizing a website is not enough. Cross-channel promotions are instead needed for strong SEO. Create multi-faceted strategies, blending social media, local business indexes, niche networks and even video channels. Never underestimate the power of a layered campaign. Finding the right audience with SEO is possible - but it’s also challenging. Let Webstager simplify the process. We help our clients connect with crucial demographics, and we do this through automated content and creative branding strategies.